Moving can be a terrifying experience, especially if you don’t even know where to “start” things. From finding a new place to move in to actually moving all of your possessions, everything can very rapidly turn into a nightmare if you don’t organize yourself and the entire house moving process the right way. Under these circumstances, calling Moving Service removals company in East Finchley, N2, is the very best option you have. We will bring experienced movers and we will ensure that each of your items is properly carried away to the new place. 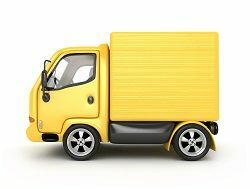 We will provide you with a man and a van or a lorry according to how many items you need to move. If you need us, we will also help you packing and unpacking everything. To find out more about our man with a van service or office removals services, do not hesitate to call us on 020 8746 4402 and talk to our friendly customer service representatives. They will answer all of your questions related to the help we can offer. 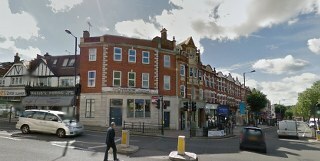 The area is located in the North London Borough of Barnet. Although associated by name with North, West and Central Finchley, the area is rather separated from them (at least from a geographical point of view). From a historical point of view, the area is quite old. In fact, the area used to be the hunting ground of the Bishop of London in the 1400s (and back then, it was called Finchley Common). On the road to the area, many pubs and buildings started to be built – and a lot of them are still standing proudly today as well, constituting some of the main attractions in the area. Names such as The Five Bells, The Bald Faced Stag and other similar places are nowadays the pride of the area. As for residential buildings, they only started to be built in the area later on. The architectural styles of the houses here are quite eclectic and from 19th century Victorian terraced houses to opulent mansions built in the 1920s and 1930s and to council estates built in the 1960s, you can really expect to see a wide variety of housing options in the area. The best part of it is that they are all beautiful in their own way, so no matter where exactly you are moving in East Finchley, N2, you will definitely be satisfied with your choice. If you are moving to East Finchley and if you feel at a loss when it comes to the entire moving process, call us. Moving Service has years and years of experience in this business and we can help you get removals process through the entire N2 area easier, smoother and more hassle-free. Our professionals are trained to provide clients with quality and reliability – but even more than that, our people will always smile and be happy they can help you. Sure, “grumpy” removals service providers may do the same job – but why not work with someone who makes this actually pleasant for everyone? From the moment you call us on 020 8746 4402, you will quickly realize that we are a company that really cares about its clients. Our customer service representatives are not just trained to be helpful but they also genuinely want to help customers and to provide them with the best information possible. As for our equipment and movers, they will make sure everything goes as smoothly as possible and they will do everything in a friendly and pleasant way. So, contact us! Don’t let the burden of moving to a different area push you down! If you're looking for a decent removal service in East Finchley, this is the place to call!